I LOVE onion rings. Unfortunately, onion rings that you typically indulge in at a restaurant are usually fried and loaded with carbs and calories, making them a not so healthy option when choosing an appetizer. I was having a major onion ring craving the other day but wanted to make them diabetic and carb friendly. Since I have been on a major almond meal kick lately, I decided to make them using that and I was sooo happy with how they turned out! 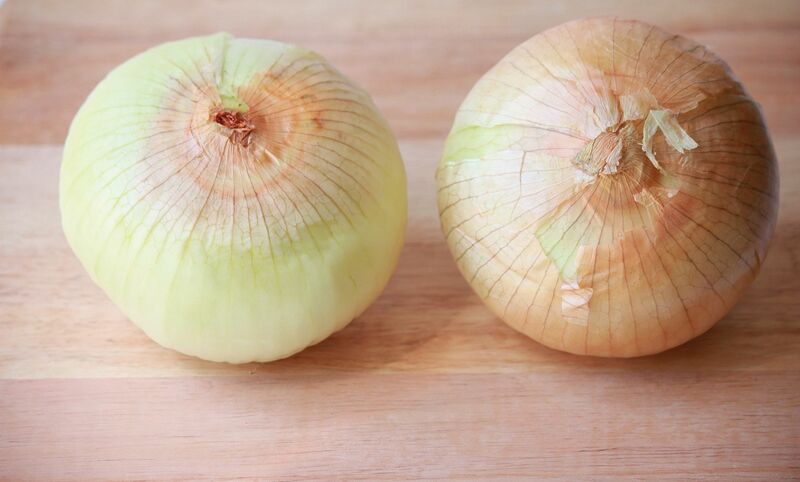 Wash and slice your onion into rings. Remove that sticky outer layer. Combine all of the dry ingredients together in a bowl. Mix together the two eggs in a separate bowl. 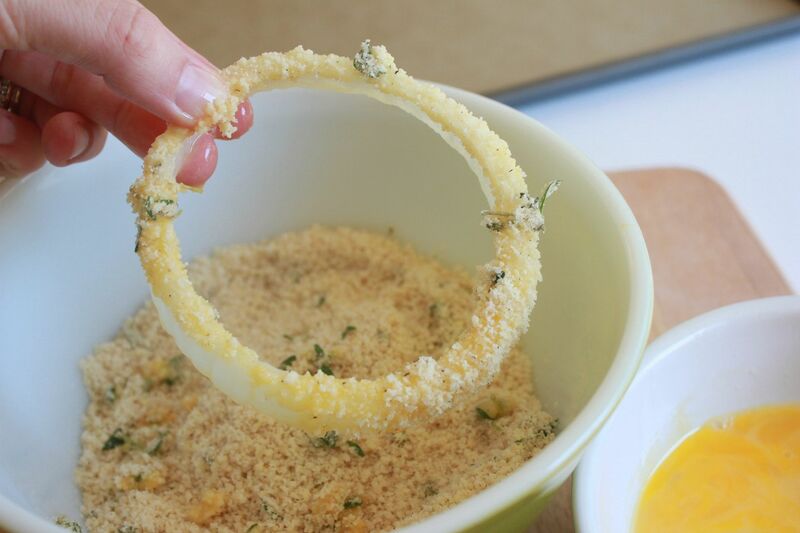 Dip each onion ring in the egg mixture first and then in the "flour" mixture. Place on a lined baking sheet (makes for easy cleanup). Bake for 20-25 minutes. Turn over the onion rings at the halfway mark. When they are nice and golden take them out. These are seriously amazing! The thyme adds the perfect amount of unique flavoring and the fact that they are baked and low carb (less than 1 gram of effective carb per onion ring) makes them a wonderfully crunchy and healthy snack that will curb any salty craving that you may be having. Yum. You make everything look so tasty!!! And healthy!! 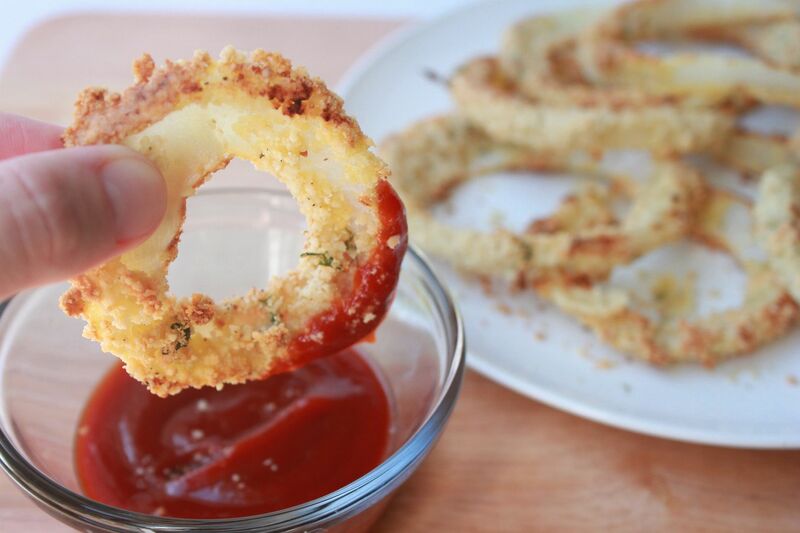 I love onion rings but never thought to make them myself! They look super easy but really delicious!! Oh wow - those look delicious! And a healthier version than restaurants?? I will definitely be making these! Thanks! these look awesome - I love thyme and will probably try this with some breadcrumbs I have. That's a guilt free snack...Perfect! Mmmm. Those do look really good. The thyme would be a great ingredient! Those look incredibly delicious, and I love that they're baked AND gluten-free! My biggest problem with eating healthy is the snacking & things like this. I LOVE onion rings & french fries & I hate doing without them. I'll have to try this. This is probably a dumb question but in what part of the store is almond meal in? My mouth is watering. I will be trying this! Traci- Not a dump question at all! You can find almond meal at almost any health food grocery store (like Whole Foods). It will be in the baking section. Going to definately try this. I love onion rings too but not the feeling you have after you eat them! Yum so making these on Friday. Those look great, I love the use of almond meal! You give me so many great new ideas. Thank you! These look delicious! I can't wait to try them. Do you have a ketchup recipe? this is brilliant! i have a weakness for these. Those look amazing! I need to try them soon. I made these last night - thank you, thank you, thank you - THESE ARE DELISH!!! 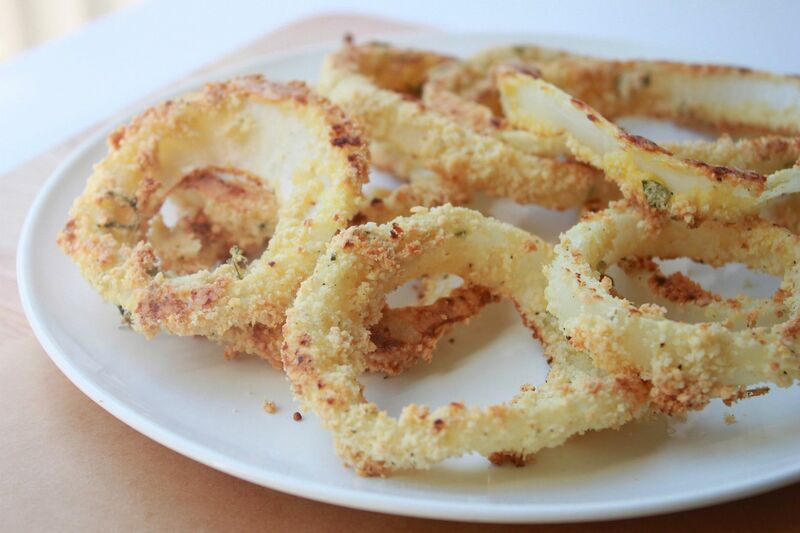 Wow, Paleo onion rings - love it! Is almond meal the same thing as almond flour?? Has anyone made a cajun spice version? I love cajun onion rings. VERY tasty but not crunchy or crispy - did I do something wrong? I also made a batch and tossed in some nutritional yeast -also very yummy!